Today I’ll be taking a look at two items! 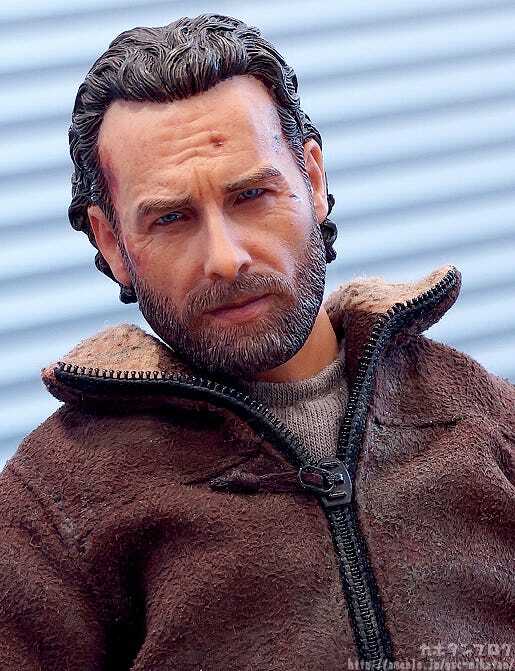 From the popular TV series that took the world by storm in 2010, ‘The Walking Dead’ comes a figure of the main character Rick Grimes based on his appearance in season five! 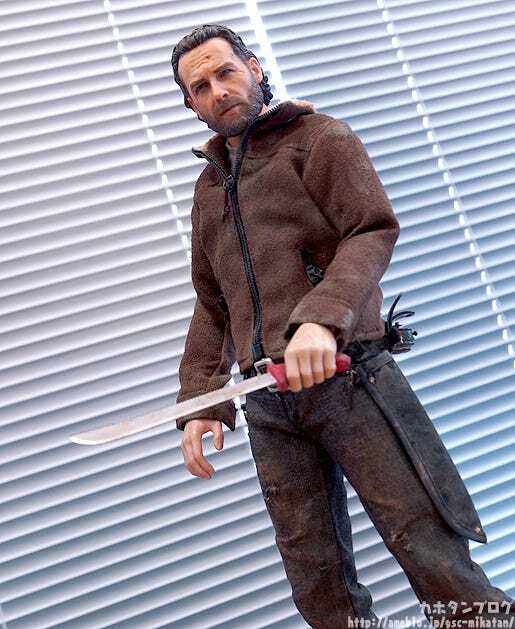 The man who will make the most difficult of decisions to protect his friends and family from the Walkers has been made into an incredibly realistic 1/6th scale articulated figure!The figure stands approximately 30.5cm in height and features clothes made with real fabric, and a coat from synthetic leather. 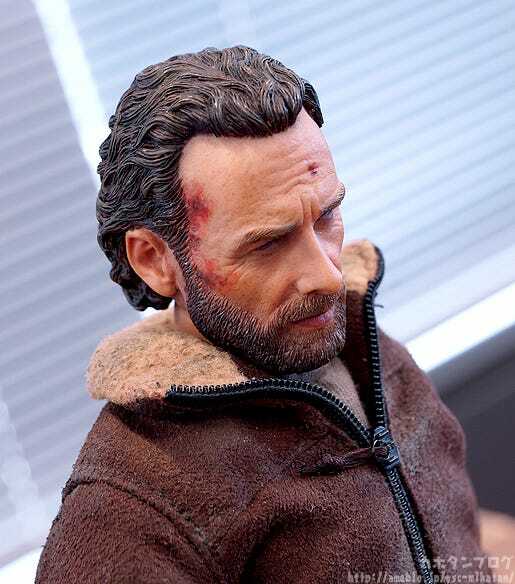 The outfit also has a slightly damaged look that shows some of the hardships he has been through since the Walkers arrived. 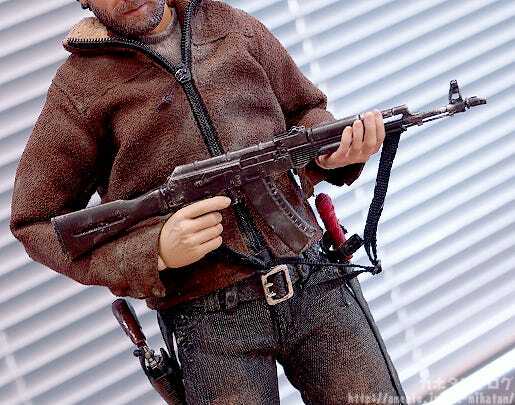 Rick’s signature red handled machete, AKM Assault Rifle and Colt Python .357 revolver are all included as weapons, and he also comes with hand parts to hold each of them. 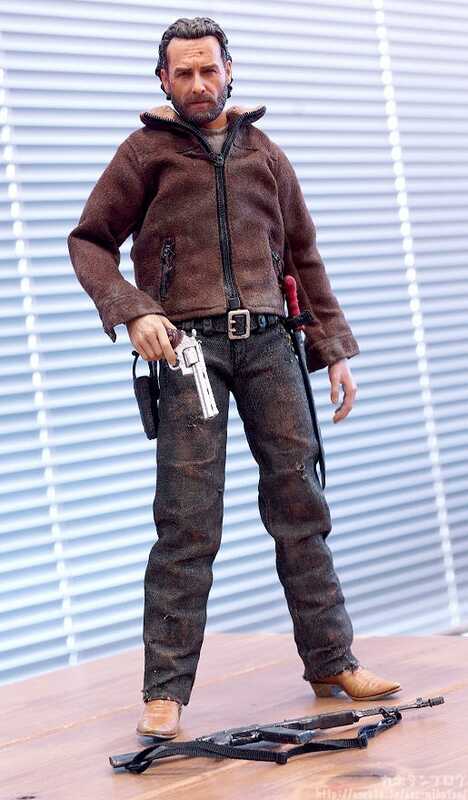 The reliable Sheriff Deputy in a ruined world! 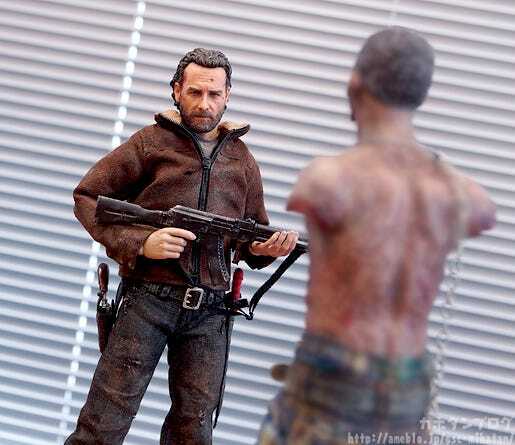 From ‘The Walking Dead’, the post-apocalyptic zombie series where humans fight to survive against the ‘Walkers’ that have overrun the world, comes a figure of Rick Grimes played by Andrew Lincoln in the TV series! 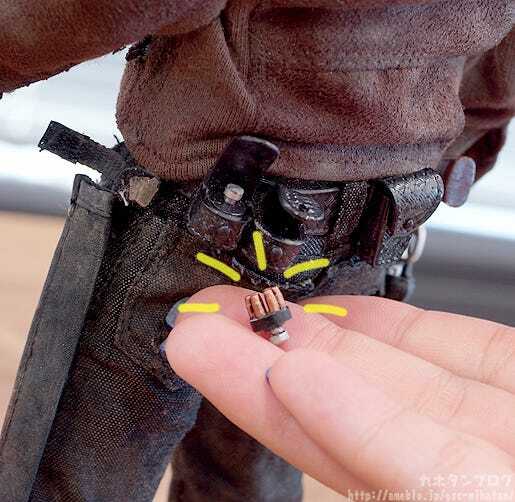 His clothes are even made with real fabric for an amazingly realistic appearance! 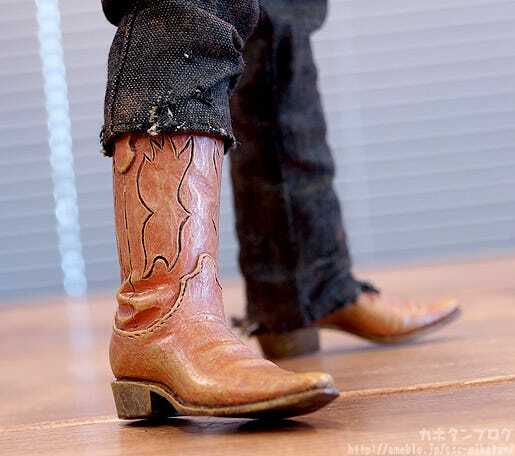 Not to mention the details on his boots…! Plus there is one more thing I want to point out!! 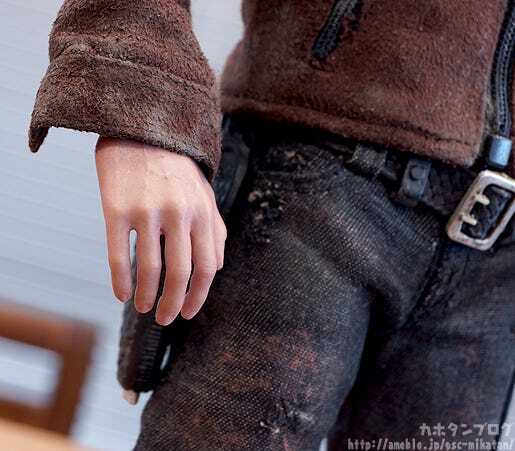 △ The details on the back of his hand… those veins!! Not to mention the texture and dirty look of his outfit!! 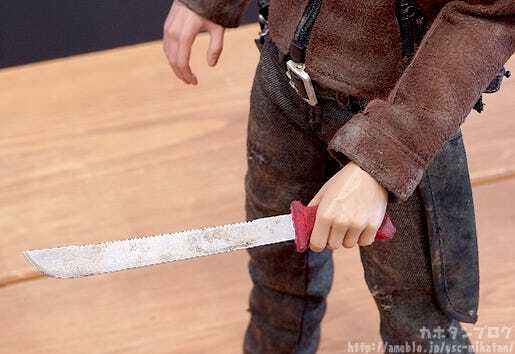 Bring out the world of The Walking Dead with amazing sculpting! 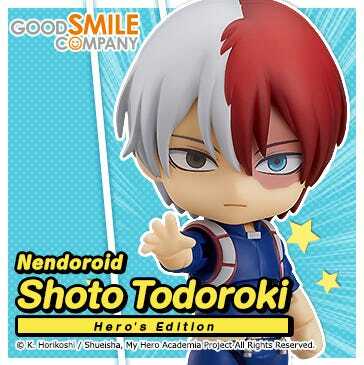 He is currently available for preorder! 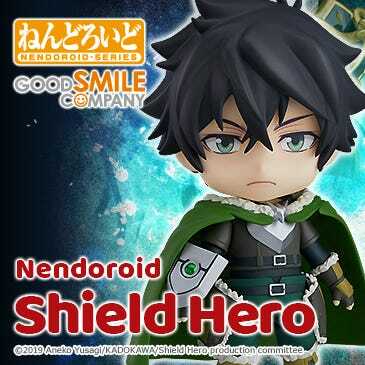 If you are in Japan you can order him from the GOODSMILE ONLINE SHOP until the 2nd December at 21:00JST! 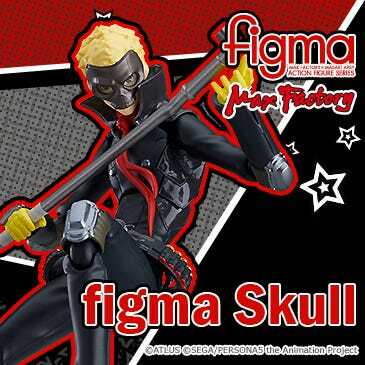 If you’re located anywhere else be sure to take a look at the threezero store! 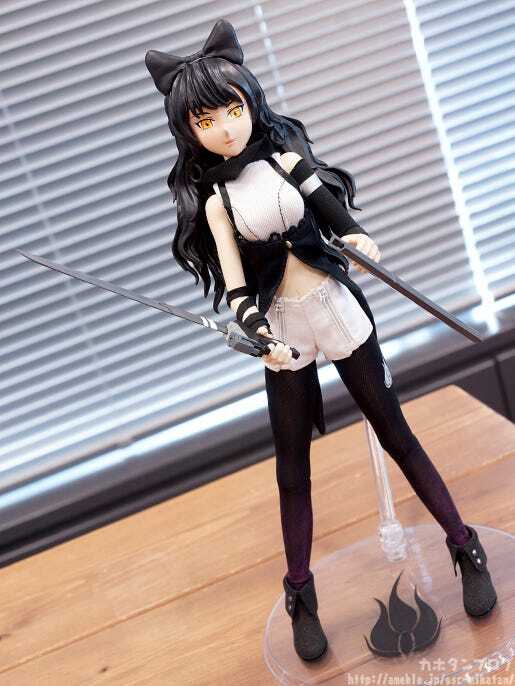 From the American animated web series by Rooster Teeth Productions, ‘RWBY’ comes a 1/6th scale action figure of the ‘Black’, Blake Belladonna! The show is set in the fictional world of Remnant, which is filled with supernatural forces. 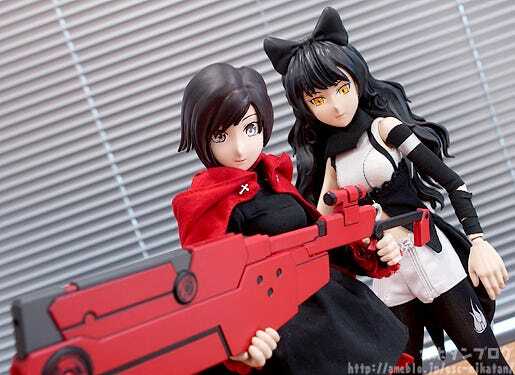 The series focuses on Team RWBY – a team of four girls which consists of Ruby Rose, Weiss Schnee, Blake Belladonna and Yang Xiao Long.Blake is a rather silent character with physical prowess that gives her a highly acrobatic fighting style. 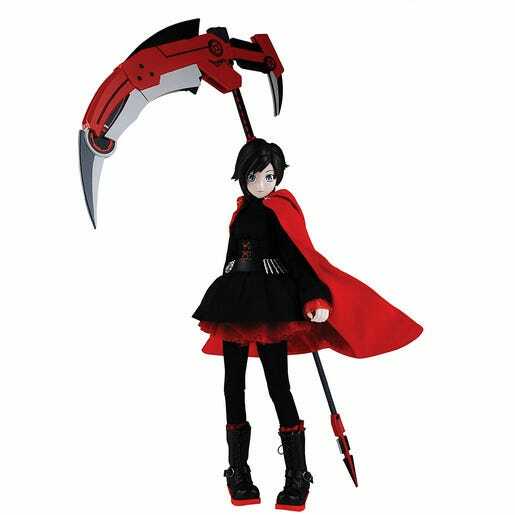 Her signature weapon is the Variant Ballistic Chain Scythe (VBCS) known as ‘Gambol Shroud’ which can transform between a chain-sickle, a pistol and a katana sword. 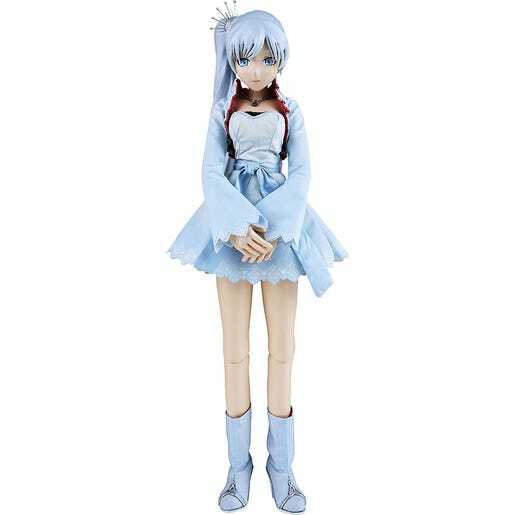 The figure stands approximately 32cm in height, with an outfit made from real fabric. The paintwork is specially done to recreate the cell-shaded animation used in the series. 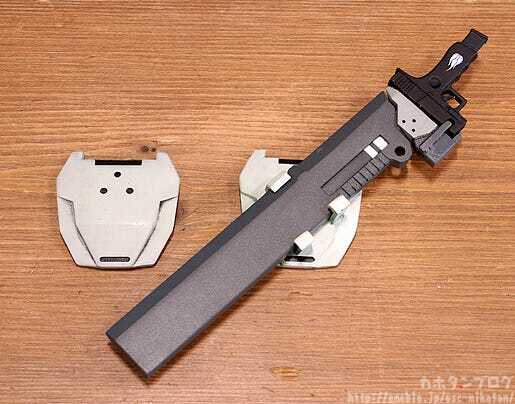 ‘Gambol Shroud’ is included and can be displayed in its various different forms – an extended blade and pistol blade as well as a chain are all included. 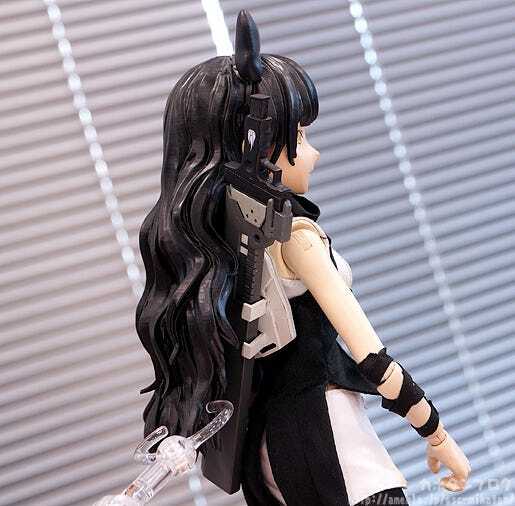 The black ribbon in her hair can be attached and removed and also features cat-ears behind it. 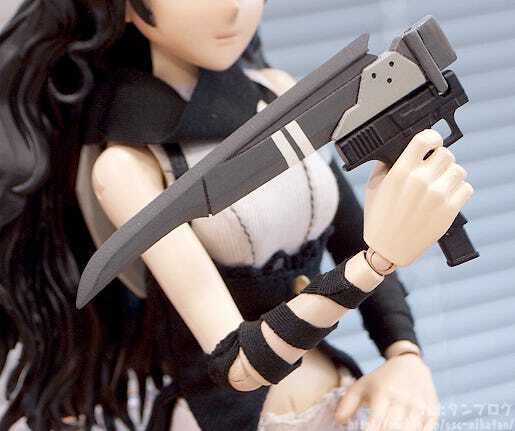 She comes with three kinds of interchangeable hands including relaxed hands, clenched fists and hands for holding her weapons. The cute and composed beast girl! 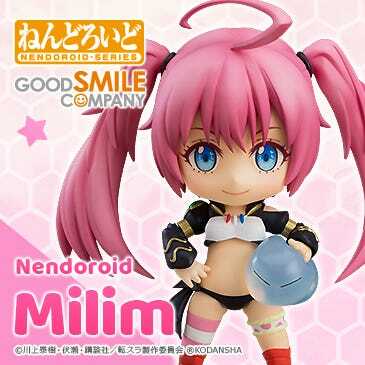 *Photos taken here are of a sample model that did not include the ribbon on Gambol Shroud, but the ‘ribbon’ is included and can be seen on the product page photos! 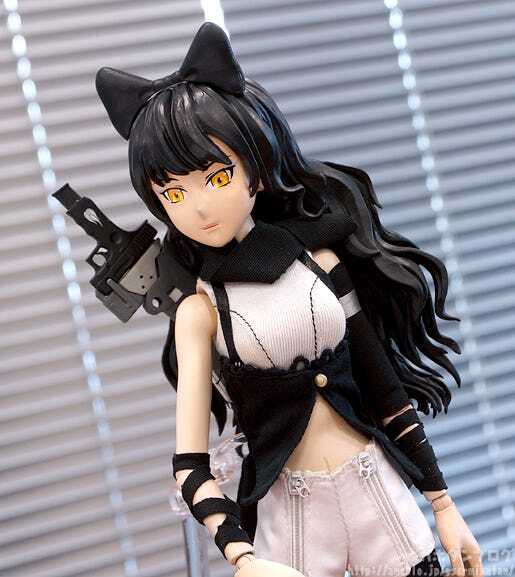 But anyway, let’s get back to Blake Belladonna! 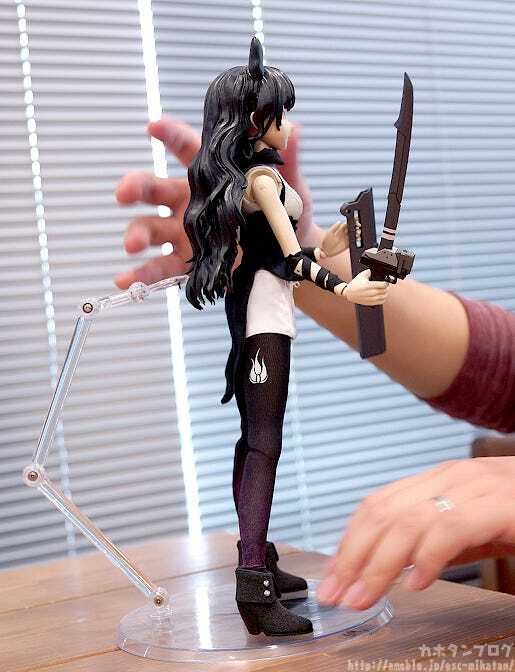 Her weapon of choice, the one-handed sword Gambol Shroud is included! 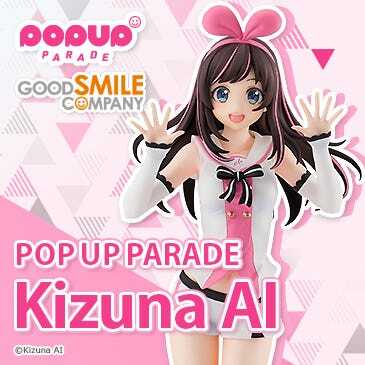 Parts to carry it on her back are also included! 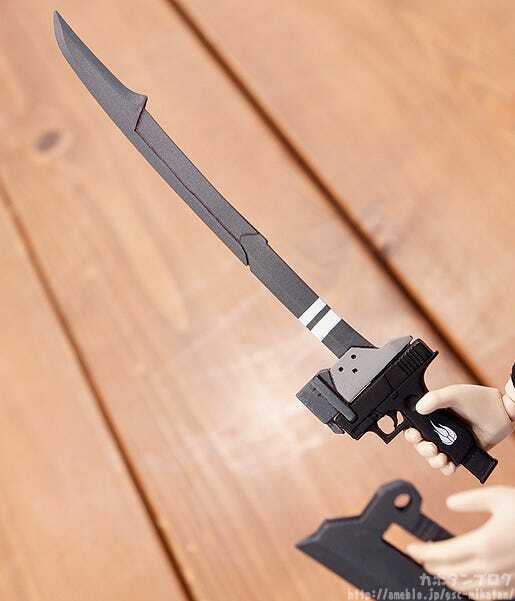 △ All the epic action scenes from RWBY come to mind! 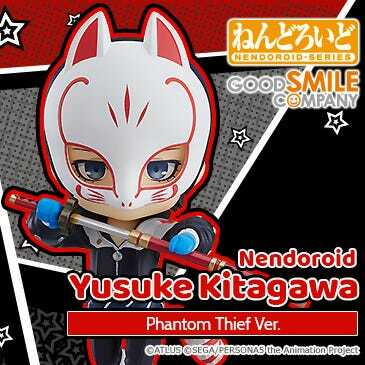 She is also currently up for preorder! 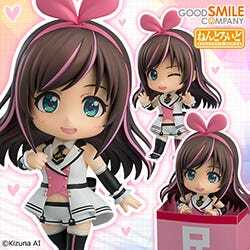 If you are in Japan you can order her from the GOODSMILE ONLINE SHOP until the 2nd December at 21:00JST! 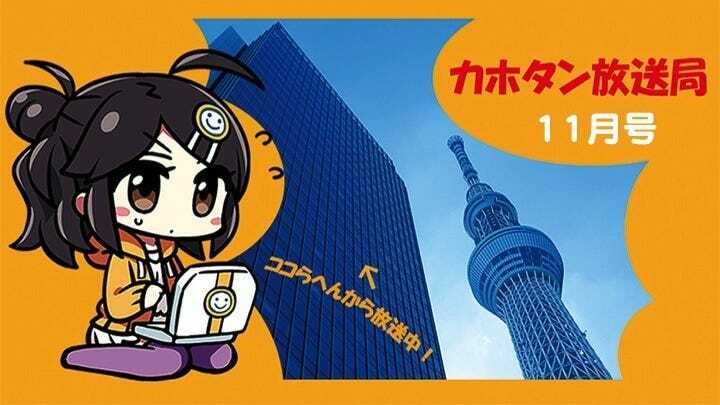 If you’re located anywhere else be sure to take a look at the threezero store!